Working with an array of glass frit, frit balls, powders, and stringers, learn how to create custom sheets of art glass called “part sheets” that can be cut up and incorporated into fused glass works. Think of a quilter designing fabric to use in a quilt. In this class, you will make 4 (8×8) part sheets – 2 opaque 2 transparent. Students are encouraged to use a different approach for each one. These will be ﬁred and ready for you in 1 week. 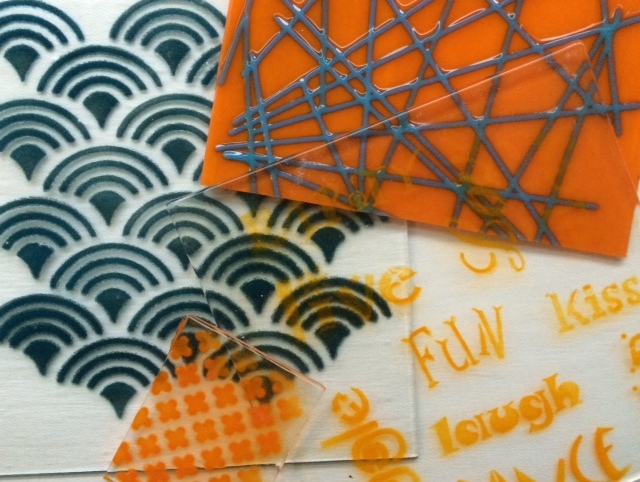 You can use these unique design elements with your glass in Open Studio or bring these part sheets to our large plate class on February 27th..